Action Alert: Make Michigan Safer For Cyclists! Home > Bicycle Laws > Action Alert: Make Michigan Safer For Cyclists! On June 7, 2016, tragedy struck Kalamazoo when the driver of a pickup truck ran down nine cyclists, killing five of the riders and injuring four. The senselessness of the tragedy stirred up both grief and anger not only in Michigan residents, but in people all across the country. As Michigan’s cycling community continues to grieve for the families and friends of the Kalamazoo victims, it is also calling for immediate legislative action to make Michigan a safer place for cyclists, pedestrians and wheelchair users. Last year, bicycle fatalities in Michigan increased 57 percent and, unfortunately, 2016 is looking to fare even worse. In fact, Michigan is one of only 11 states without a law that requires motorists to pass cyclists safely. In light of the Kalamazoo tragedy, as well as for all the cyclists and pedestrians who have senselessly lost their lives on the roadways, Michigan can and must protect its vulnerable roadway users. Legislation has been proposed that would not only enact a statewide 5-foot safe passing law, but would also hold motorists who injure or kill vulnerable roadway users to greater accountability. Please join cyclists across Michigan and urge your legislators and Gov. Rick Snyder to support and sign this legislation (House Bills 5002, 5003 and 5004). There is a narrow window of opportunity to advance the bills when lawmakers return from summer recess, so it’s crucial that everyone take action right away. 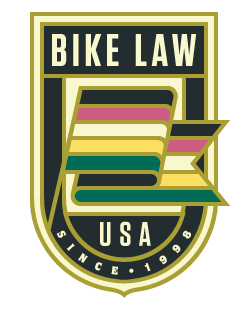 The League of Michigan Bicyclists (LMB) supports the legislation, and is partnering with the League of American Bicyclists to get the word out on the need for passage. Click here to add your name to the action alert. Sign: Take action and write your lawmakers in support of the 5-foot passing law and vulnerable roadway user protections that create stiffer penalties for drivers who injure or kill cyclists. Share: It is going to take all cyclists — from casual social riders to competitive cyclists — speaking with one voice to demand action. Support from non-cyclists is also needed. Please engage your family and friends in person and on social media. If you can, please post this action alert to your email lists, social media pages, in group chats, etc. Support: Support the LMB by joining/renewing your membership today. The LMB’s strength is in its numbers. As the LMB meets with lawmakers and testifies before legislative committees, a strong, well-organized base ensures our message is taken seriously. In the midst of tragedy emerges opportunity. Now is the opportunity to take the first step toward progress for cycling in Michigan. Let’s make Michigan safer for cyclists and all vulnerable roadway users.